After I took my first Kush Tour through Seattle, our friends at Kush Tourism invited me on their newest tour offering, a garden tour at Sky High Gardens. It is the first public tour of its kind, giving cannabis aficionados the opportunity to tour a large-scale indoor cannabis farm. Kush Tourism and Sky High Gardens have collaborated to offer a distillery-style tour that offers an inside glimpse at the industry. Sky High Gardens is a Tier 3 producer licensed by Washington state to cultivate cannabis for the retail market. The farm is housed in a 30,000 square foot facility in an industrial neighborhood of Seattle and is the largest scale cannabis operation allowed under current state law. Sky High got its start serving as a cooperative garden for medical marijuana patients just outside Seattle in Lynnwood, Washington. Since the beginning, their focus has been on producing top-quality flower for the local market, leaving concentrates, edibles, and other cannabis products to the rest of the industry. With over 20 different strain varieties in constant rotation, Sky High Gardens describes their processing method as a small-batch strain harvest. 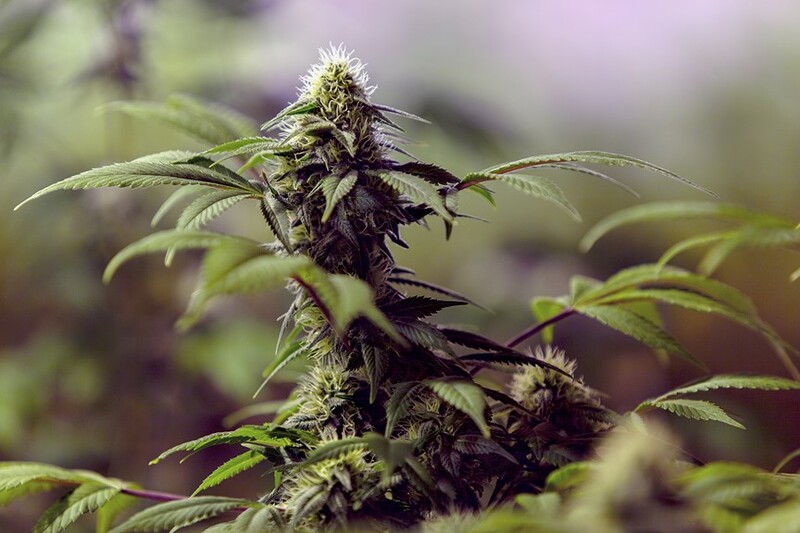 Instead of cutting down an entire room or crop, each strain is tracked and monitored using a state-mandated barcoding system that allows them to trace every stage of the lifecycle and harvest each strain at its optimal time. Sky High breaks their production into four stages: clone, grow, flower, and cure. Clones of their genetics are taken from mother plants and begin to root in the nursery, housed in the basement of their facility. As the plant’s life progresses, the clones become bushier with fan leaves and new growth. The plants are then moved upstairs to the growth stage, where they move from infancy into adolescence, commonly known as the vegetative stage. Along the way, they acquire additional strength and height while limiting inter-nodal spacing to keep bud sites close, resulting in the dense colas connoisseurs appreciate. When the plants have reached their optimal growth requirement, the little trees are transferred into the flowering rooms where the budding process is induced by a 12/12 lighting schedule (12 hours of light, 12 hours of dark). After 8 to 12 weeks (depending on strain), the frosty buds are now ripe with the cannabinoids and terpenes that have been developing during the flowering process. The cannabis is then cut and hung to dry in a cool dark room that is balanced for optimal humidity to avoid contaminating the prized buds with mold or mildew. After hang-drying all the branches until the nugs snap off the stem, the buds are trimmed, manicured, and sorted by strain for curing. Once the cure has met Sky High’s quality standards, the buds are packaged into prescription-style bottles and boxed to prevent any light pollution from degrading the quality during transport. While the box limits a consumer’s ability to interact with the product before purchasing, Sky High intends to provide pieces along the lines of a perfume sample and are confident that their quality standards will more than make up for any initial disconnect caused by the protective packaging. If you're interested in checking out the Sky High Gardens experience for yourself, book a tour with Kush Tourism or check out their other great cannabis-themed travel options. Be on the lookout for Sky High’s strains coming soon to retailers in Washington state, and make sure to leave a review on Leafly whenever you get the chance to try them.